For travellers seeking a truly refined and casually elegant experience, Oceania Cruises, the world's leading upper premium cruise line, offers world-class cuisine, unparalleled personal service, a luxurious onboard ambiance and enriching destination experiences. The Finest Cuisine at Sea, Destination Immersion Specialists and Intimate & Luxurious Ships define Oceania Cruises' five-star product. Featuring a fleet of warm and luxurious ships, Oceania Cruises offers an unrivaled vacation experience renowned for its gourmet culinary program inspired by Master Chef Jacques Pépin and its array of destination-rich itineraries spanning the globe. Seasoned world travelers are drawn to Oceania Cruises' diverse voyages, which call on more than 450 ports across Europe, Asia, Africa, Australia, New Zealand, the South Pacific and the Americas. Spacious and elegant accommodations aboard the 684-guest Regatta, Insignia, Nautica and Sirena and the 1,250-guest Marina and Riviera invite guests to explore the world in unparalleled comfort and style. With Oceania Cruises, each voyage invites you to travel the world the way you've always dreamed. Sail the gorgeous Mediterranean, and embrace the legendary cities and rich history that have given rise to the celebrated coasts of Europe. Throughout Asia and Africa, immerse yourself in exotic adventures and extraordinary experiences possible only in these faraway lands. Get swept away in the alluring paradise of the South Pacific, home to vibrant Polynesian traditions and some of the world's most gorgeous islands. Experience the natural grandeur of Alaska, the vibrant cultures of South America, or mysterious Mayan ruins and timeless island charm in the Caribbean. With Oceania Cruises, these only begin to hint at the magical possibilities that await you around the world. Whatever corner of the globe beckons to you, Oceania Cruises takes you there in comfort and style. Relax aboard one of Oceania Cruises' six intimate and luxurious ships catering to just 684 or 1,250 guests, and discover what OLifeTM truly means. From the moment you step on board, you feel welcomed by Oceania Cruises' casually sophisticated atmosphere and dedicated staff. 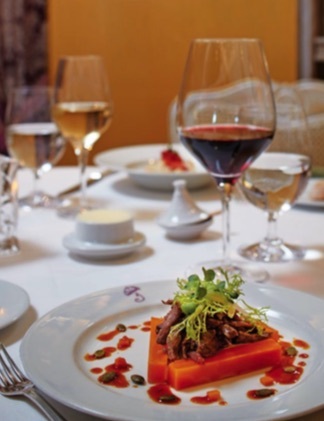 Savour exquisite cuisine renowned as the finest at sea and spend the days exactly as you wish. Perhaps attend an engaging guest lecture, sip a cocktail poolside or simply relax on your private veranda as you gaze out on ever-changing vistas. It's the ultimate satisfaction of enjoying every moment of the experience in your own way. People who ordered Voyage Atlas also ordered the free travel brochures below. Click on the images to find out more about these brochures.